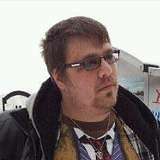 So said the VP of Marketing for Gazillion Entertainment – the developers creating the free-to-play MMO action RPG Marvel Heroes. And the claim doesn’t come lightly; their COO was the lead programmer and a designer on the first two Diablo games, while the story has been written by Brian Michael Bendis, who has penned many major Marvel comics. Throw in the fact that the game has been built from the ground up on the Unreal engine and cut-scenes drawn by Marvel artists, and you’ve got a pretty exciting looking game. My time with the game started with choosing the Marvel hero I wanted to play as. We were given a choice of four; Hulk, Iron Man, Scarlet Witch and Wolverine, each with their own strengths and weaknesses. For example, Wolverine is fast but loses health pretty quickly, while Hulk is powerful and can pick up cars to throw at enemies. You’re not limited to just the character you initially choose either, as you can switch between your roster of heroes in the middle of the game, so if you want to try out some new tactics or just a different play style, you can. Each character has their own inventory and level, so if you do favour one character you will need to go back and level up your others, although the developers were keen to point out that their engine allows for randomisation of levels, so no two playthroughs will be the same. After I’d chosen my character, I was transported to the X-Mansion, where I was given the chance to get used to the controls. If you’ve played Diablo before then you’ll be right at home; you left-click on places you want to go, boxes you want to smash open, people you want to beat up and quest givers you want to talk to, while special attacks are done with a tap of the corresponding letter on the keyboard. It’s incredibly easy to pick up and play, so pretty much anyone can jump straight in and start playing. After this, we were lead to the basement where Professor X had a quest for us – to rescue someone from Magneto’s grasp. After we saw one of the beautifully drawn cutscenes that will be present in the game, it was time to head off and beat some dudes up. 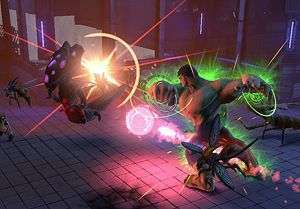 With combat being as simple as clicking on the enemies repeatedly, and as our characters had already been levelled up, the game felt almost too easy – particularly when playing as Hulk, who dealt out huge damage and soaked up plenty of hits himself. There were a number of wide-area attacks at my disposal that could take enemies down in one hit, or at the very least halve their health, so it never felt like much of a challenge. Thankfully, we were introduced to one of the public area events – a scenario in which a massive enemy appears out of nowhere and all the players in the area need to work together to take it down. In this case, we were presented with a giant Sentinel, who needed all four players hammering away to even have a chance at taking it down, and nearly wiped us all out. It was a refreshing change of pace, and with the developers promising these events will happen plenty of times during play, it’ll definitely keep things more interesting for players. Since we’d defeated such a large enemy, we were granted a fair amount of loot. 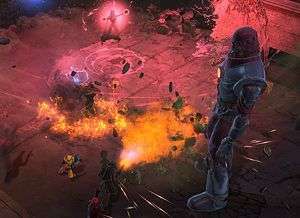 Thankfully, Marvel Heroes negates the need to battle with other players to collect it, as each player only sees the loot that they can pick up, so there’ll be no arguments about who should be taking what. Among the array of coins, medkits and assorted knick-knacks, we were also given new costumes for our heroes to wear, representing their different iterations in the Marvel universe. It’s a nice little addition that’ll help make your character stand out in the crowd, and there was also mention of a costume crafting system, which should hopefully make your playthrough even more individual. Eventually we found our way to Magneto, and as we were not in a group, each player entered the area alone to face off against the boss. This made the fight just that bit trickier, and showed that while Marvel Heroes is definitely an MMO it’s still playable on your lonesome, without the need to group up with strangers to take down huge bosses. He didn’t take much to defeat, although I nearly got Wolverine killed in the process, but it was still a fun and interesting battle, with little moments like having to break your way out of a psychic cage Magneto puts you in to break up the action of clicking repeatedly on him. Magneto is also just one of many Marvel villains set to appear in the game, with Toad, Blob and Mistress Hydra already confirmed and more set to be announced. 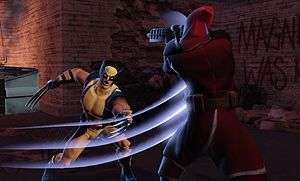 Though my time with the game was short, what I saw of Marvel Heroes was very promising. There wasn’t much discussion on the micro-transaction element that will fund the game, but the developers say that the entire game will be playable for free, and they hope that gamers who love it will be willing to pay for the services that will become available. There’s no idea of a release date yet – we were told that the devs were “nearly there”, and a beta would “hopefully” be coming soon – but it’s already shaping up to be an incredibly fun and interesting new MMO. Sounds like an MMO version of Ultimate Alliance, which is no bad thing. Hope this turns out better than the stinker of an mmo, DCU.